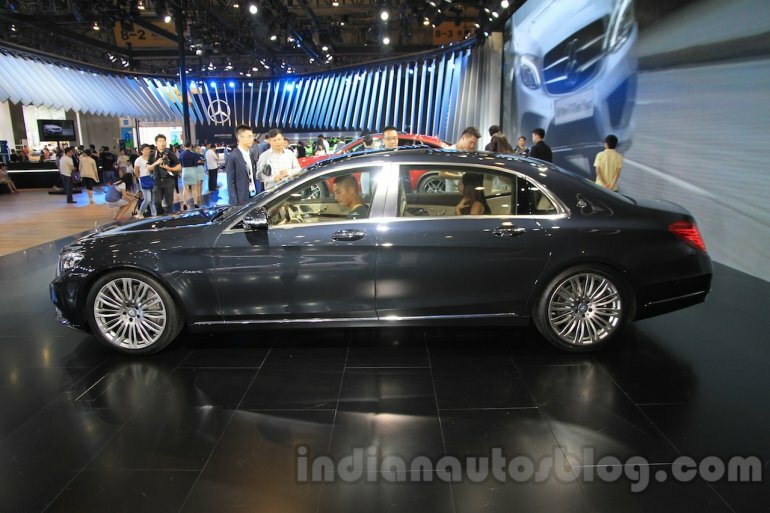 The S500 Maybach has 200 mm more wheelbase than the standard S-Class. 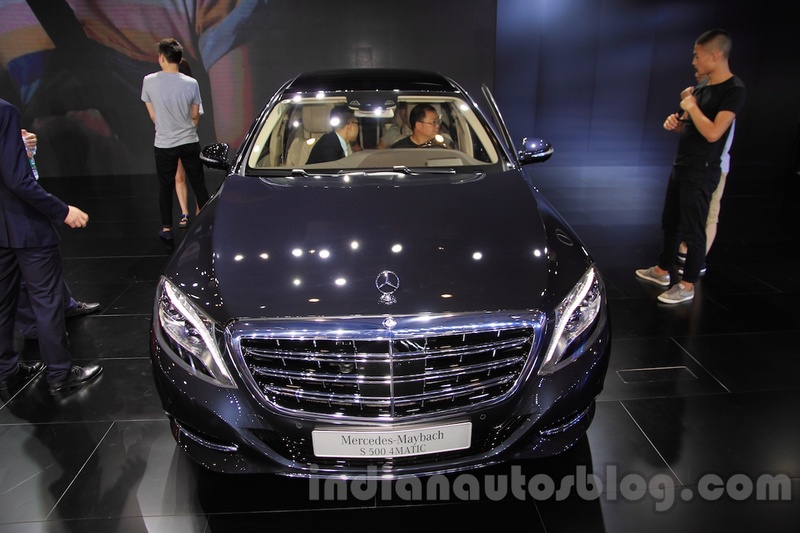 The Mercedes Maybach S500 4Matic has been showcased at the 2015 Chengdu Motor Show. The luxury sedan’s Chinese variant has been priced at Chinese Yuan 21,98,000 (INR 2,30,59,904). The luxo barge was unveiled last year at the LA Auto Show and Guangzhou Auto Show concurrently. The face gets the Multi-beam LED headlights, chrome-finished three-slat grille and chrome accents for the air intakes. It is 5,453 mm long and has a wheelbase 3,365 mm, this translates to a wheelbase which is 200 mm more than the standard S-Class. The sides also feature a shiny B-pillar and the sweeping dome-shaped roofline. The posterior gets LED taillights, chrome strip on the trunk and quad tailpipes. The cabin is lavished with Nappa leather and Maybach crests on the seats while another special feature in the dashboard is the analogue clock. The front gets a simple and refined dashboard that has a dual theme of leather and wood finish with the instrument cluster and infotainment screen being merged to look like a single unit. There are wood, aluminium and leather trims found all over the cabin like in the door panels and tweeter grilles. The Maybach is all about rear comfort with two executive seats present and plenty of room owing to the extended wheelbase. There are many optional packages that can be taken to suit individual tastes in the 'world’s quietest production saloon'. A premium sound system from Burmester is specially customized for the best rear seat sound output say Mercedes. 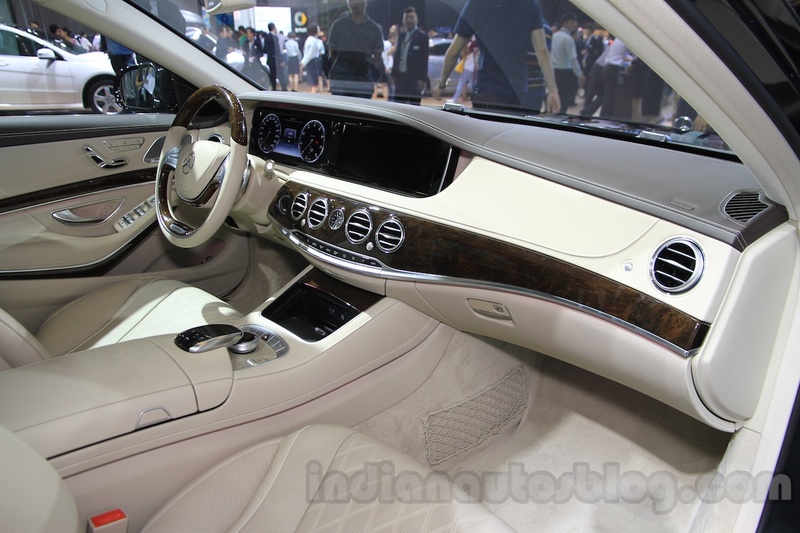 The Maybach S500 is powered by a 4.7-liter V8 biturbo engine that generates an output of 455 bhp and 700 Nm. The power is transferred to the road through the new 9G-tronic automatic gearbox. The sedan gives a combined NEDC fuel efficiency of 11.23 kmpl with a CO2 emission of just 207 g/km. 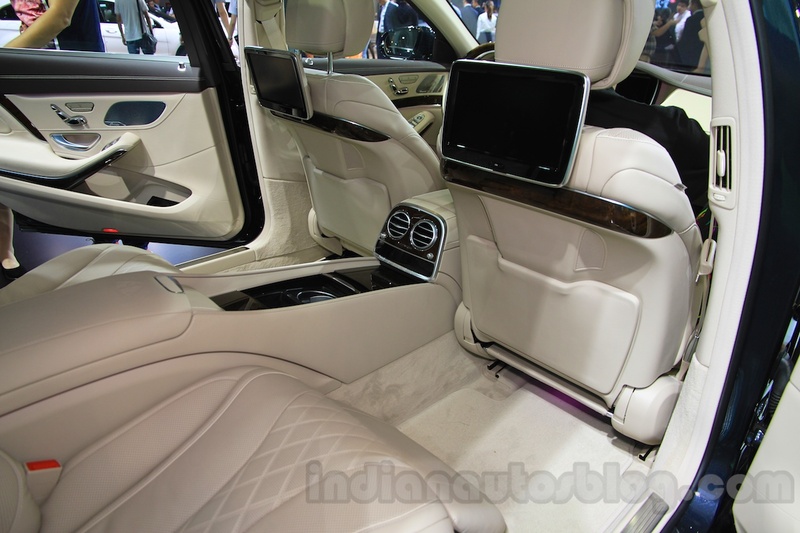 The Maybach has tons of equipment on board that help in safety and comfort such as a head-up display system, heat insulation and infrared-reflecting laminated glass, night view assist system, Distronic Plus with Steering Assist and Stop&Go Pilot, Brake Assist BAS PLUS with Cross-Traffic Assist, Active Lane Keeping Assist and Adaptive Highbeam Assist Plus. 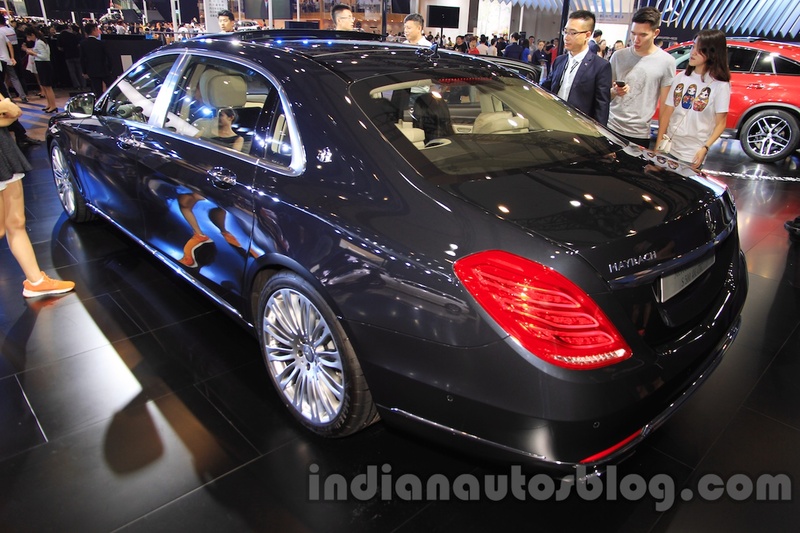 The Maybach sub-brand is also reportedly under consideration for the Indian market.